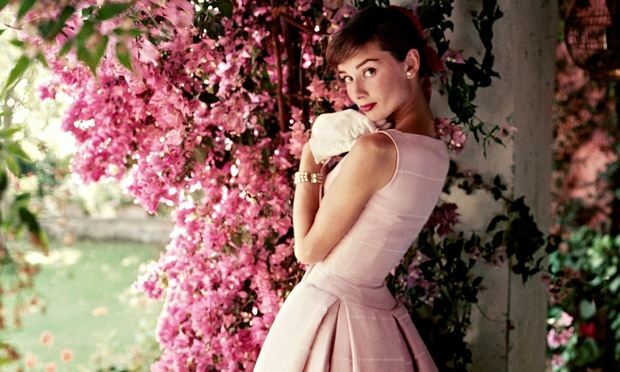 Audrey Hepburn had an extraordinary life, from her childhood as a ballerina, to her first taste of the theatre spotlight and becoming a Hollywood star. She became such an iconic figure that fashion designers were lining themselves up just so she could wear their clothes. Yet, let’s not forget Hepburn also had a private life. She was a mother and a humanitarian ambassador who spent the last years of her life dedicated to poverty-stricken countries. To mark the 65th anniversary of Hepburn’s career changing performance at West End nightclub Ciro’s, the National Portrait Gallery with its curators, Terence Pepper and Helen Trompeteler, have brought together an intimate exhibition with up a 150 photographs, some never-seen-before images, to chronologically present Hepburn’s life. Through portraiture and photography by society photographers, Anthony Beauchamp, Richard Avedon, Cecil Beaton, Angus McBean, Irving Penn, Norman Parkinson and more, viewers get a glimpse of how Hepburn became an international star and played a huge part in encapsulating 1960’s fashion and feminine lines, which we owe her, even today. In the first room of the exhibition, there’s a glass-sealed box with her ballet shoes. Hepburn had childhood dreams of becoming a professional classical dancer and trained as young as 5-years-old in the Netherlands and London at the Marie Rambert School in 1948. Much of her tenacious work ethic is due to her dedication and training there, but due to her living circumstances she discontinued ballet and headed to the London stage where she performed in the chorus line of High Button Shoes in December 1948. Her performances on the stage developed and she performed in Cecil Landeau’s revues Sauce Tartare (1949) at the Cambridge Theatre, which was where photographers, Beauchamp and McBean, first noticed her and, through their portraiture of her, established her as a rare beauty. As we lead into the second room we see photographs of Hepburn in the 1950’s, which highlighted her film career and life-long collaboration with French designer, Hubert Givenchy. Her broad way debut, Gigi (1951), and BAFTA and Oscar-winning role in Roman Holiday (1953) founded her as a leading actress, which followed a lead role in Sabrina (1954), which radicalised model and designer relationships at the time. This room also shares images of Hepburn in the 60’s where things began to drastically change from music, photography, fashion, film and politics. The art world was challenging the status quo and films began to take a turn with controversial movies, which caused actors and actresses to take on more provocative roles. For Hepburn, this is where she became the ‘Height of sophistication’ as Holly Golightly in her 1961 film, Breakfast at Tiffany’s. The film was based on Truman Copote’s risqué novella, which Blake Edward wanted to direct without degrading Hepburn’s public image. The film downplayed the sexual focus referenced in Copote’s novella and settled for a fleeting and independent heroine instead. Hepburn’s dramatic look with her hair pinned up with large sunglasses, diamante necklace and black Givenchy column dress is what we remember Hepburn for. Here, Howell Conant’s photographs recall her days shooting the film from singing ‘Moon River’ to smiling at the camera as Holly and reminding us of where vintage and chic really came from. In the last room of the exhibition, it is dedicated to her legacy as an international cover star with magazine images from 1951-1993 for Vogue, Marie Claire, Jours de France and many other international titles. The room also displays images by Robert Wolders of her relief work with Unicef as a Good Will ambassador. She visited various countries including Ethiopia, Sudan, Bangladesh and Somalia, but as she was diagnosed with colon cancer in 1992, she became weak and stopped travelling. Hepburn’s son, Luca Dotti says, “She would be honoured to have an exhibition dedicated to her at the National Portrait Gallery. And glad to be back home.” This exhibition is just a teardrop of the thousands of images in existence of Hepburn. The Audrey Hepburn estate owes over 5,000! But this exhibition puts Hepburn in the spotlight, again, providing a moment of reflection for many who idolise her.